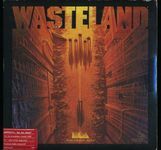 Wasteland is a post-apocalyptic computer roleplaying game. At the beginning of the 21st century, a worldwide nuclear war annihilated most of civilization, turning most of the planet into an inhospitable wasteland. Players lead a team of Desert Rangers (a remnant of the old US army) investigating a series of disturbances in the desert. Wasteland's user interface is similar to the Bard's Tale (a series of RPGs by the same developers): a mix top-down views and encounter views. Dialogue with NPC is done through a simple text parser, combat is turn-based and uses the encounter display, using text to describe the effects of character actions. * A skill-based character development system. It was an implementation of the Tunnels & Trolls and Mercenaries, Spies and Private Eyes pen & paper RPG rules written by Michael A. Stackpole and Ken St. Andre (both members of the Wasteland development team). It allowed players a lot of freedom, as a lot of in-game situations could be solved differently, depending on the available skills and equipment. * A permanent world. Any change to the game world state were saved on-disk. This required players to make a "working copy" of the original game floppy disks for their game in progress, as game data was directly stored on the disks. * Independent NPCs. Some NPCs could be recruited into the party, but would refuse to part with equipment or perform some actions. The game comes with a paragraph booklet, which contains numbered paragraphs describing conversations, encounters or story elements. The game would sometimes refer players to a specific paragraph number. It contained clues and details that could not fit on the disk. The paragraphs are mixed with together paragraphs from another unrelated story to prevent players from spoiling themselves by reading too much. The game was a commercial success, and is widely recognized as a milestone in computer RPG development.